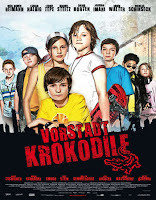 The Crocodiles 2009 | FunToMovies 300 Movies '+g+"
Story: Hannes wants to be a member of the crocodiles. To be a part of them he has to do something dangerous. When he is finally a member of them they experience dangerous adventures together.